Fifth grade students are currently reading Becoming Naomi León by Pam Muñoz Ryan. In the book the main character carved soap figures. 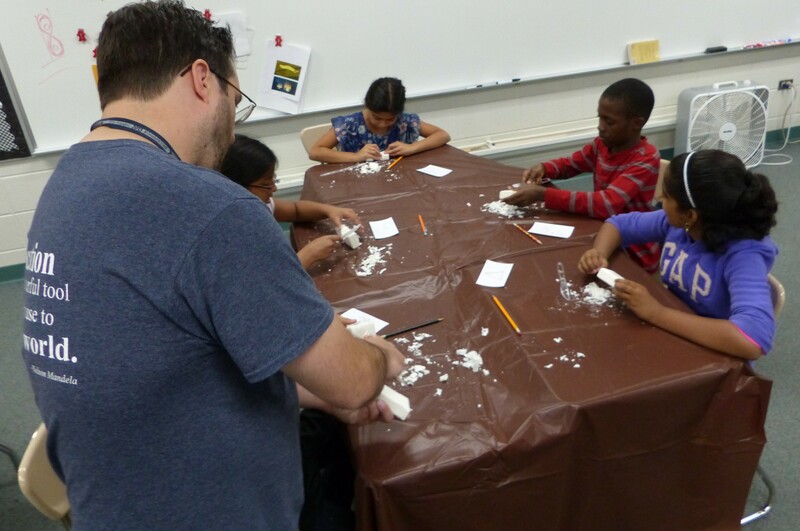 Bringing the novel experience to life, students in all three classes created their own soap carvings. 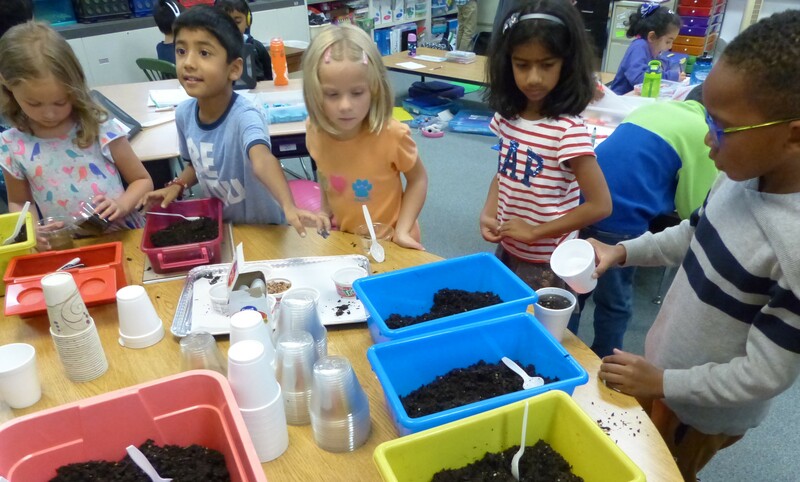 First grade students are learning what science is. To start they watched a video describing what science is - asking questions, finding clues, and telling others. Students are now practicing being scientists by finding out how plants grow with specific materials given. Each student was able to decide how to use the materials given and are now observing what is happening to their plant.